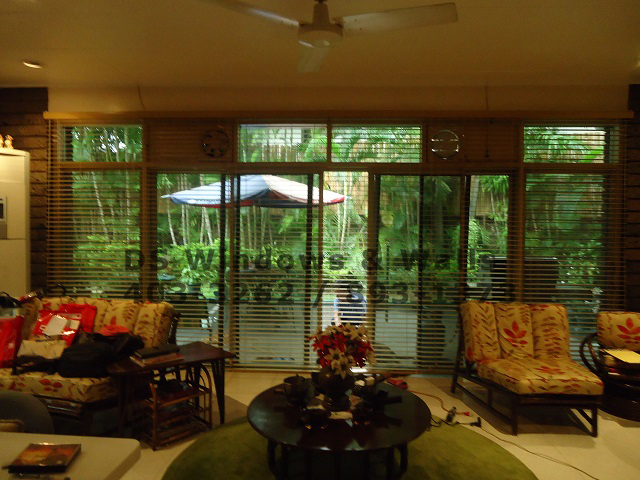 For today’s blog we’ll be featuring Faux wood blinds for living rooms from one of our featured customer in Batangas province. One of the most catchy asset of anyone’s house are their welcoming living rooms. This part of the interior is where most activities like family bonding and informal meetings as well as receiving visitors or relatives happen. And to make the assemblies and exertions more encouraging for both the hosts and guests, clients tend to design their living rooms with blinds that can either give them a good view of the outside or let them control the sunlight that reflects back. It is challenging enough, in these progressed periods of modernization, that we prop our living rooms with decorations appropriate to its fixed composition. These faux wood blinds not only serve its purpose for light control, it is now also one of the most common ornaments that help us achieve the look and ambiance that we want for our living rooms. As featured in the previous and following photos, the faux wood blinds gave the living room an elegantly aesthetic look that surely makes it a place for various home activities and even entertainment. 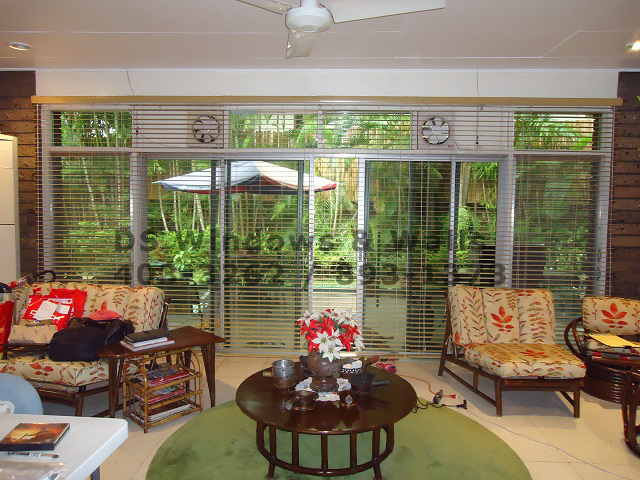 Inviting and relaxing, the nature’s view outside also beautifully adds up to the fancy effect of the blinds. As shown in the photos, these horizontal blinds intensify the flora-vibe of the room that is brought upon by a little bit of green from the outside of the house. Though faux wood blinds are known for its sole purpose in resisting in humid environments, which is in contrast to the cool breeze usually coming from green gardens, the contradiction just gives off a balance between the temperate and chilly atmosphere that the living room experience. Another thing that makes faux wood blinds convenient is that no matter how you want to adjust the lights, it would still give off the same aesthetic effect that you want to achieve for your living room. Either you want it dim or bright, open or close, it proves suitable to whatever purpose you want to it for. More to this, since it greatly resembles wood blinds, it almost has the same effect but also at a much cheaper price because of the differences in materials used. And with these, any client may now enjoy the pleasures of a fancy-looking living room where they can spend time with family members and guests at a much more affordable cost. 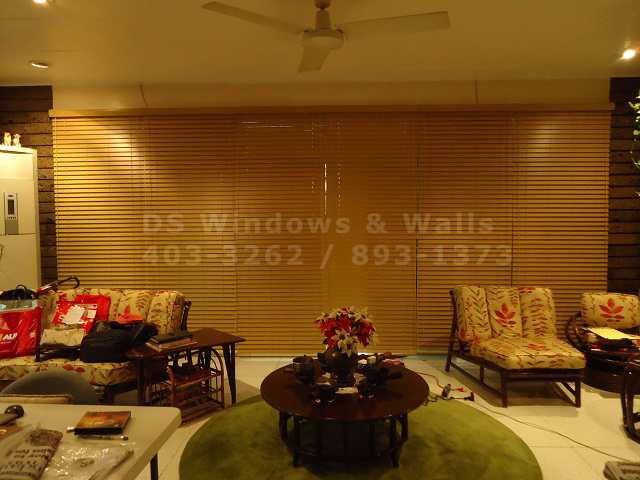 To get more information on our faux wood blinds, you may email us at inquiry@dswindows.com or call us at (02) 403-3262, (02) 668-9668, (02) 893-1373, 0916-311-3909. For Batangas area, you may call: (Globe) 0917-583-0214 or (Sun) 0922-592-6111 or 0908-989-4676 – look for Patrick Villapando.